Watch a demo presented by Jeff Williams, CTO and Co-Founder of Contrast Security, and Ed Amoroso, former CISO at AT&T and Founder of TAG Cyber. Watch a short high-level overview of Contrast Assess and Contrast Protect to see how we make software self-protecting to prevent vulnerabilities and block attacks. 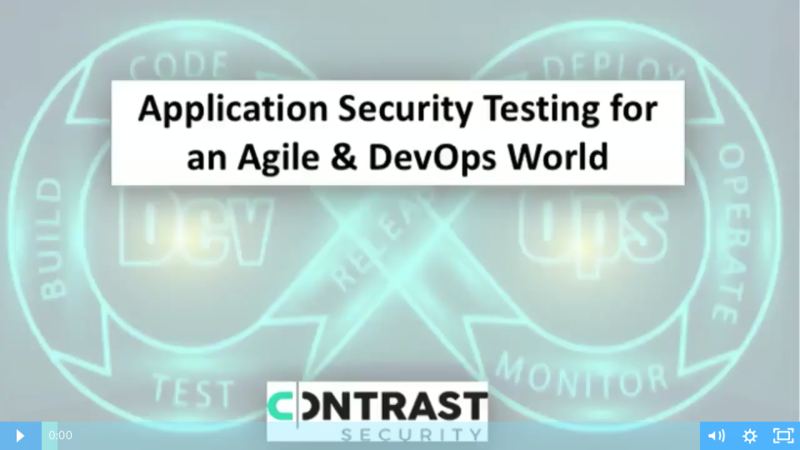 See how Contrast Security works with Agile & DevOps processes to accomplish maximum security at maximum speed for all application deployments. 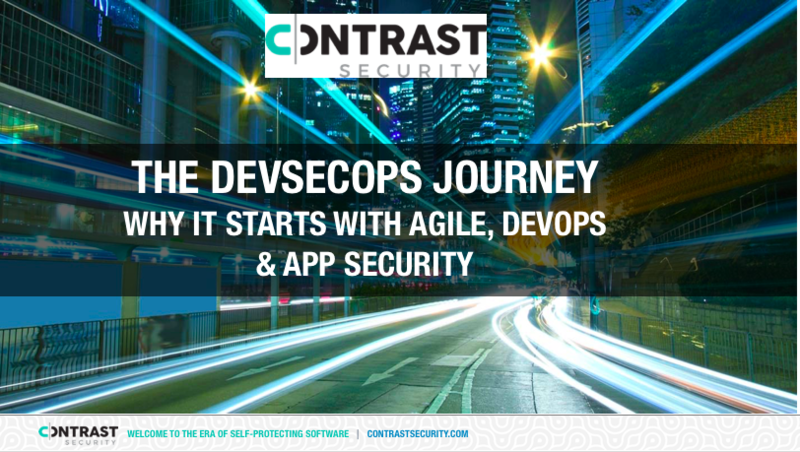 Short video to learn how Contrast Security enables development and operations teams to deliver secure code while working at DevOps speed. A short explaination to learn how Contrast Security uses instrumentation to deploy and accurately identify application vulnerabilities in minutes without experts or legacy SAST and DAST tools. Learn how Interactive Application Security Testing (IAST) uses instrumentation to find and remediate vulnerabilities and insecure libraries. We will compare Contrast Assess to other legacy security testing methodologies. Contrast Assess deploys an intelligent agent that instruments the application with smart sensors to analyze code in real-time from within the application. No need to disrupt and change the way you work. 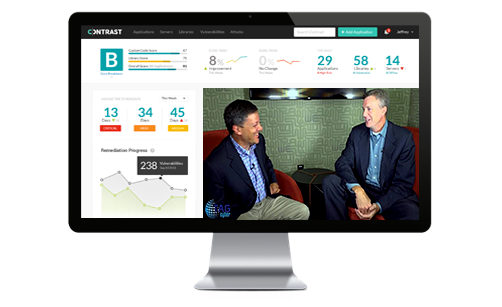 Jeff Williams, CTO and Co-Founder of Contrast Seucurity, explains what it means to have "self-protecting" software. 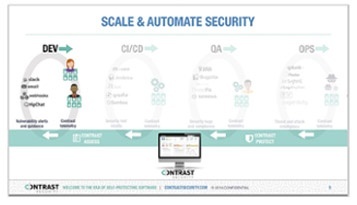 Contrast Protect leverages Runtime Application Self-Protection (RASP) and patented deep security instrumentation to protect applications against cyber attacks in real-time, making it the most accurate, fastest and scalable application security solution. Watch first hand how Contrast Protect (RASP solution) avoids the need for WAF's by working from the inside of a running application to provide better visibility and accuracy to find and block attacks. 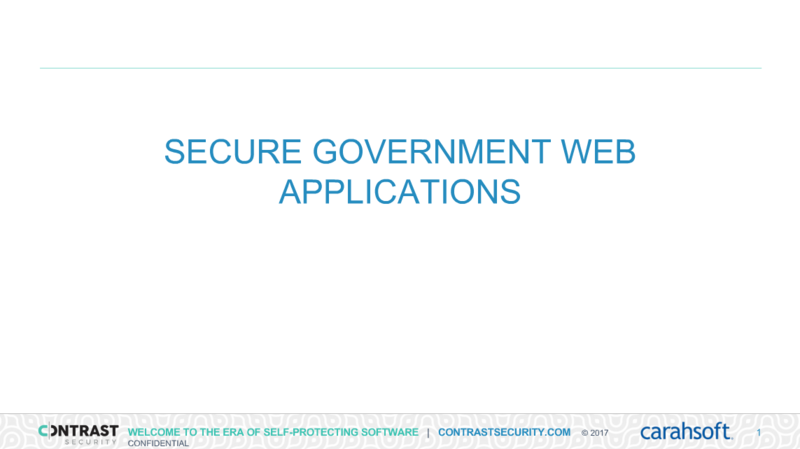 Watch this short video to see how Contrast Security protects applications and blocks SQL injections attacks better than WAF's. Organizations are migrating from traditional legacy technologies to embracing today's Digital Transformation with modern cloud computing. These activities, in turn, are driving the need for stronger security. 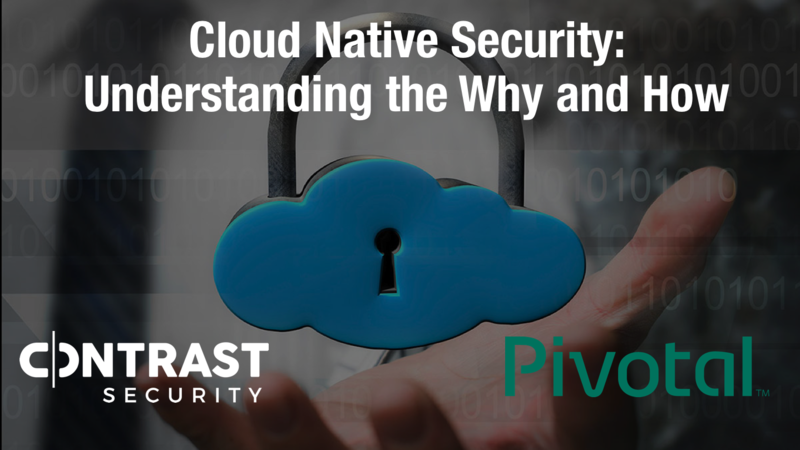 This webinar will help you understand how Contrast solves this problem by using instrumentation within the application to protect wherever they are deployed and automatically report and block attacks. Join in to discuss the principles of DevOps with an innovative approach of IT security known as DevSecOps. DevSecOps introduces automated security much earlier in the Software Development Life Cycle (SDLC) to minimize vulnerabilities and bring security closer to IT and govrnment business objectives. Traditional Application Security Testing tools are too slow to meet the accelerated pace of today's business environment. 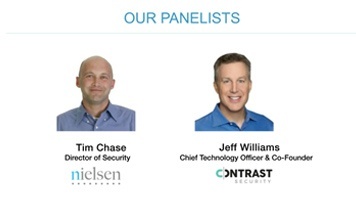 In this webinar, we will discuss how Contrast Security's products is an innovated and improved Application Security Testing tool by using detailed metrics. 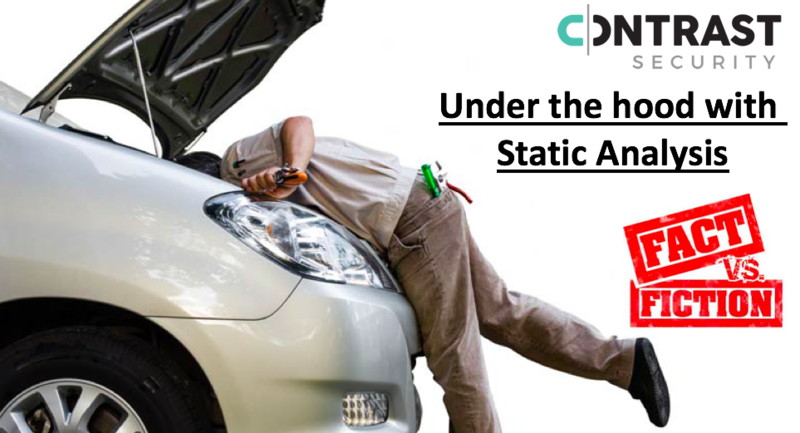 Tune in to this technical webinar to walk through the basics of static analysis, such as semantic analysis and how data flow works between source and sink. We will also address how the model structure is built, queried, and impacted by different development techniques to give you a better understanding of how static analysis falls short of fulfilling all of your security needs. 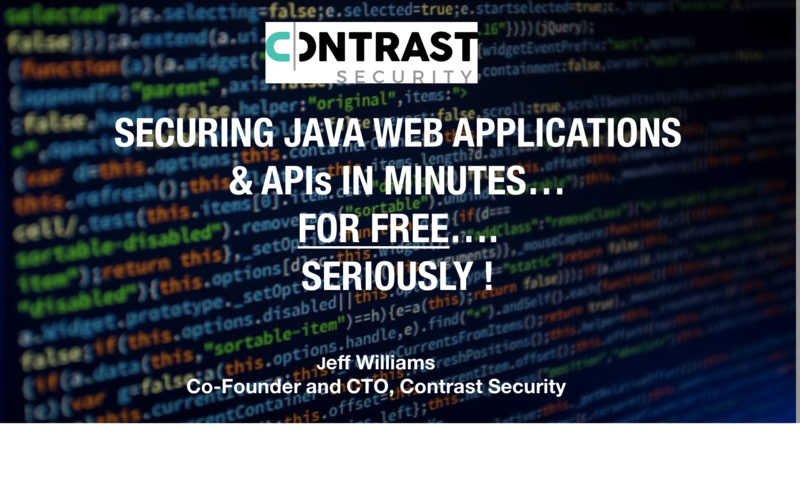 Securing Java Web Applications and APIs in minutes...for FREE...Seriously! We've all suffered from a difficult, inaccurate, and frustrating security tool. What if there was a security tool that was as easy and powerful to use as AppDynamics? 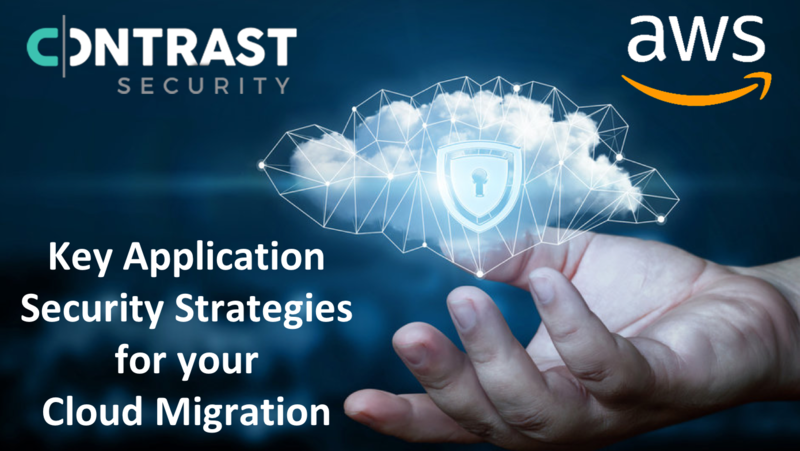 In this webinar, we will help you get up and running with Contrast Security's Community Edition FREE and full-strength tool for anyone to use. Start securing your code, lock down open source libraries, identify attacks, and prevent exploits using our free AppSec solution. Traditionally, security has been an afterthought and introduced late into the release process. This can cause major contention and distrust between development and security teams. This webinar will highlight how a modern IAST tool can help weave security into the code continuously and accurately throughout the Software Development Life Cycle (SDLC). 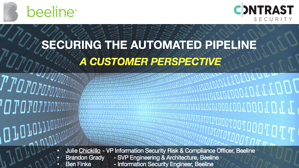 Hear directly from a customer's perspective on how Beeline, the world leader in contingent workforce solutions, aligned their Development, Operations, and Security practitioners to set up a fully automated continuous integrated and continuous delivery (CI/CD) pipeline and incorporated application security early in the process. Development teams have struggled with a massive security backlog for how rapid they need to work to release software. Protecting your legacy applications is critical to your business and therefore necessary for your organization to have better production controls. 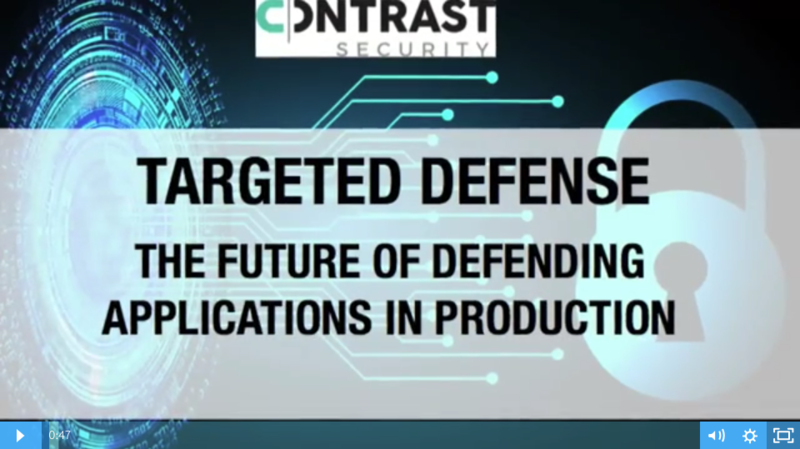 Listen in to learn Contrast Security's new Targeted Defense Platform using RASP technology to defend your applications in production. Security teams have a hard time keeping pace with software development in Agile & DevOps environments. Every year, Verizon Data Breach Investigations Report shows applications are the most targeted attacks. Automatically detecting vulnerabilities and protecting your applications in real-time should be top priority in an organization. Listen to this webinar to start developing a winning application security strategy. The Equifax breach was a watershed moment for software application security. The root cause is confirmed to be a web application security issue tied to a widely used software framework called Apache Struts 2. 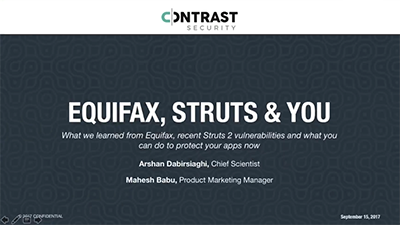 To gain a better understanding of these events, listen to this webinar to learn how to shield yourself against Struts 2 attacks. We will review how Contrast Labs saw these issues and continues to see exploit attempts. Tim Chase, Director of Application Security and Architecture at Nielsen, discusses how he scales Rugged DevOps and achieves continuous protection during development and operations by instrumenting the software application portfolio, assessing and protecting applications in parallel, and deploying integrations that provide instant notifications. 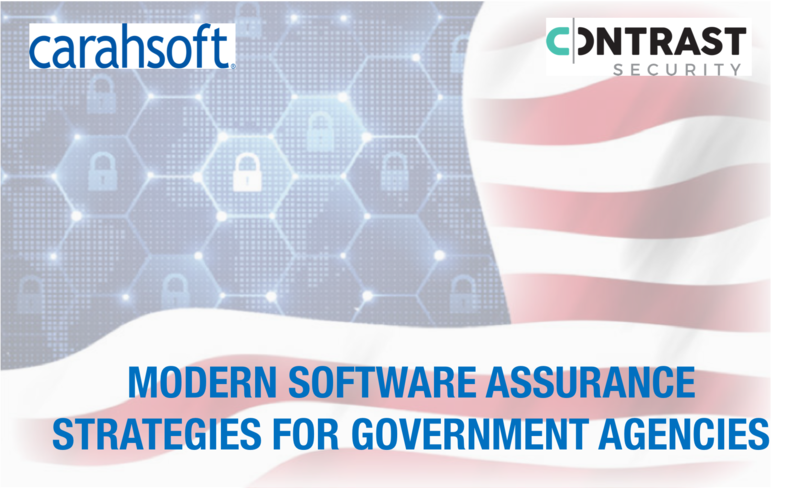 Join in on our discuss on how government agencies can scale their DevOps functions by instrumenting their application portfolio, assessing and protecting applications in parallel, and deploying integrations that provide instant notifications. Terry Sweeny, Editor at DARKReading and Jeff Williams, CTO and Co-founder at Contrast Security discuss the need for a modern approach with more accurate tools to help development teams code without the need to stop and scan. What does IAST mean to you? What does RASP mean to you?